Could you imagine a world without The Beatles? Well, that’s the premise of Danny Boyle’s new movie “Yesterday,” and the trailer for the film has just been released. The film follows a struggling musician named Jack Malik who gets hit by a car and wakes up to find that nobody has ever heard of The Beatles, and decides to pass off the legendary band’s hits as his own. 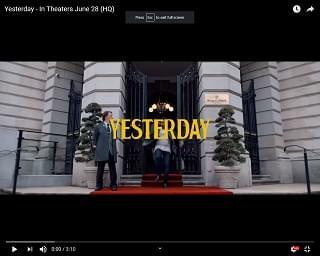 “Yesterday” is set to hit theaters June 28th.